My many questions were answered promptly and in detail. Clear expectations of the process and timeframes were provided. I had specific installation requirements and the pros and cons of these requirements were conveyed and addressed. His installers were great, hard working and tidy. Thank you firstly to this website and the mine of useful information and the "getting quotes" process. I was impressed by the first contact from Helio Energy (Shan Gao), and that they were the only company who offered to come and inspect the house and talk about what was needed. After accepting their quote they were patient while I had roof repairs done. The installation was very competently done (it was a long 10 to 12 hour day). As an example, one roof tile was cracked in the process. Shan was about to go and source a replacement tile, when I mentioned that I had some spares. A less scrupulous operator might not have been so diligent. Shan's installers work directly for him, so quality is much better controlled than if installation is subcontracted. As an engineer (not electrical) myself, I had quite a few questions, which Shan was always happy to answer and explain. I went for top quality Qcell 350W panels with Enphase S270 microinverters in a 3 phase system. The panels were connected to each phase in proportion to the usage for each phase which I'd calculated previously (told you I was an engineer). The 5 star write ups on the company are an accurate reflection of this high quality firm. Shan from HelioEnergy was very good with product information. His workers were very punctual with their arrival time to install the panels. Cleaned up after they have finished at the end of the day. 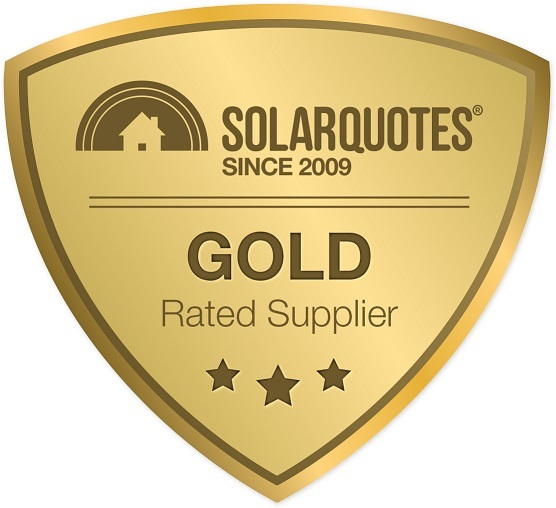 We were referred by SolarQuotes to 3 solar installers for quotes and after careful deliberation went with HelioEnergy Pty Ltd (Shan Gao). Shan Gao is excellent to deal with and we found him very customer focused, responsive and honest. 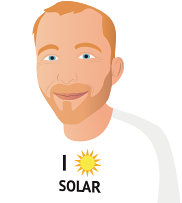 Shan is the Engineer, system designer and owner of HelioEnergy and has a B.Eng and a M. Eng.Sci from UNSW, consequently we felt much more comfortable dealing with Shan than with the salesmen from other parties quoting. Shan will explain the technical aspects as far as you would like, and will provide advice on what is suitable for your circumstances based on the information you give him and your historical or expected usage pattern. We had a 5kW Fronius 5.0 SYMO Inverter (3 Phase) with free WiFi monitoring and a 6.1kW power system of 20 Trina Honey MONO 305W solar panels installed, battery ready for the future. The HelioEnergy quote was competitive with (or better than) the other two quotes we got. The three men doing the installation under Shan's supervision were very good, careful, polite and hardworking  they know their jobs. The whole system was installed and up and running in one day. Shan came back later to show us how the system works. Helioenergy offers a Solid system and Value for money. Avoid the cheapies out there, as there are too many pitfalls. We did a lot of homework our heads were in a spin on who to trust. Congratulations Sharn you should be very proud of what Helioenergy represents and how you conduct your business! I live in a 3 level split townhouse, and have a few quotes before I found Mr Shan Gao. wiring is hard to do as well etc which got me really worried. even having to hire a cherry picker. Shan Gao and his team proved to be highly efficient, courteous and diligent, throughout the installation process. My site created a few challenges for them to achieve a neat installation and time was not a consideration for them, to ensure a great outcome. The system works as expected. Helio Energy was the only firm to offer multiple solutions and system configurations, allowing me to choose from a wide range of options and component brands. Shan also provided some guidance in this regard supporting components with what appears to be independent opinions, and comparisons. This enabled my choice to be more informed and understanding of the pricing comparisons and installation outcomes to be expected. I found Helioenergy through Solarquotes. Shan their owner called me immediately and was very warm on the phone and allowed me to specify what I was looking for. He also asked if I wanted additional suggestions in a way that was very helpful and not pushy or without disrespecting the research that I had done prior to that. He was up front and honest about the products that he can use and gave what I felt was very honest opinions on brands, configurations, return on investment etc. When he attended my house, he was up front about any challenges and any possible changes to the quote, but assured me that it was highly likely that the quoted price would not change. He also assisted me in preparing for a battery installation in the future, advising on products, locations for the inverter, possible locations for the battery and even told me about the Australian standards, drafted proposals, the likely changes to my daily capacity, provided satellite photos of my roof with alternate options for installation and was very comfortable to deal with. I agreed to the system, 6.5 kW, Jinko panels, Fronius inverter for a a good price compared to other quotes I received. He was able to install within 2 weeks and upon arrival, my wife was gobsmacked at the professionalism of the team. They arrived before 7:30am but had agreed to arrive at 7:30 and therefore waited until 7:29 on the dot to ring the door bell. They insisted on taking their shoes off when walking in the house so that they don't leave mess, brought their OWN microwave to heat their lunch in order to avoid inconvenience to us and were all round the most professional trades people we have ever dealt with. The system is working incredibly well and Shan even provided follow up advice and support. I didn't think that there were people out there as professional as this company. I have since had two friends use the same company because of the rave opinion I had of them. Shan was a pleasure to deal with. He knows solar and was happy to share that knowledge, and to answer whatever questions I had at our first meeting, and subsequently. He recommended a system that is right-sized for my needs, contains quality components that should last. And all at a good price. The installation was completed in one day as promised (even with some rain), and has been generating energy as expected from that day. I almost went with a shonk outfit until I was steered towards SolarQuotes. Shan Gao, HelioEnergy, attended my site and gave the best attention to any question I asked. The install was done far quicker than expected and I was able to monitor the professional progress of his crew. I also looked at the hardware and noted it was all coated stainless steel. I have building experience and I did not hesitate to score the work top marks in every aspect. Electrical fit-out was very neat and professional too. They answered all my questions, have my system installed 10 days after paying deposit. They arrived on time on the day and it took one full day for my two storey house. Everything works from the next day. They cleaned up after the installation as well.